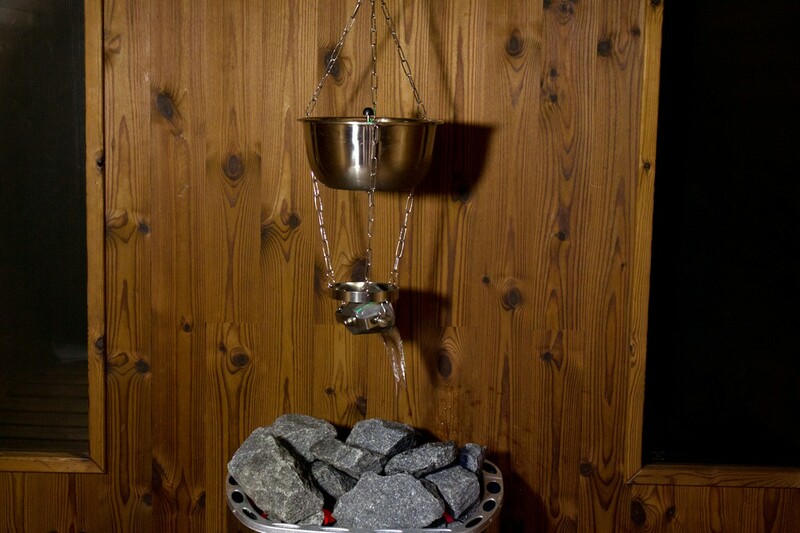 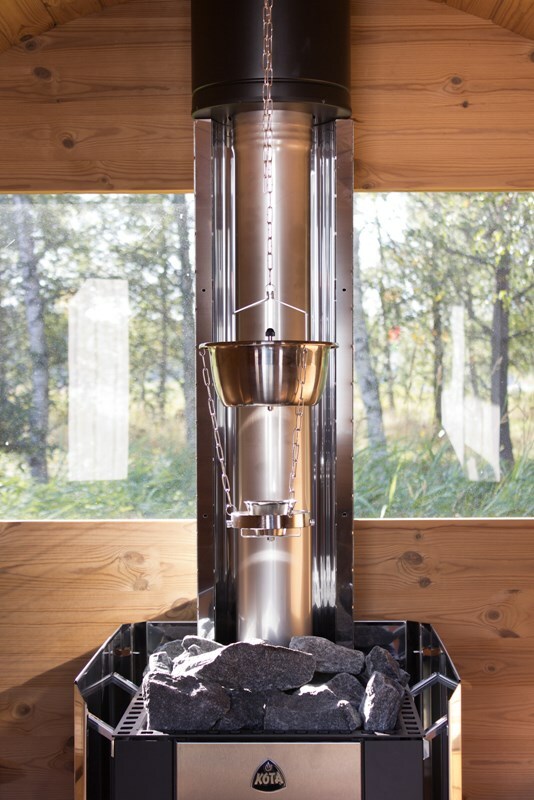 AquaDropper is a product that automatically pours water on the sauna stones. 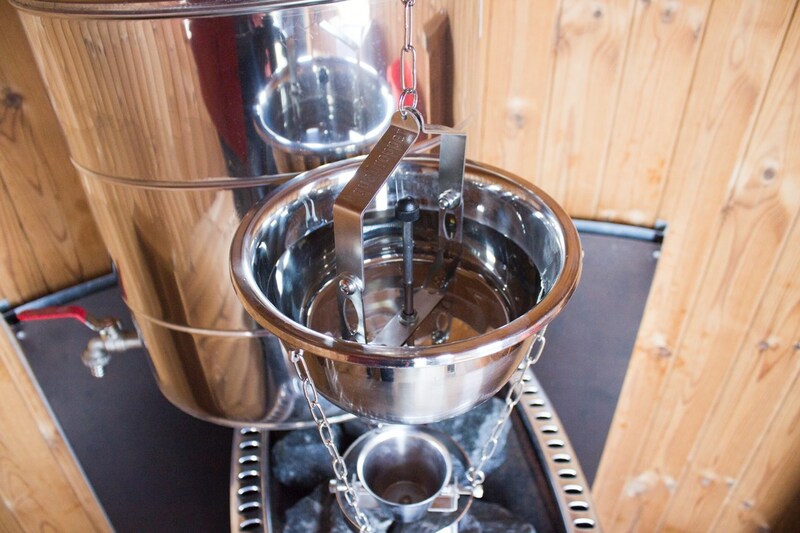 It consists of an upper 2 liter stainless container and a smaller 0.1l container below. 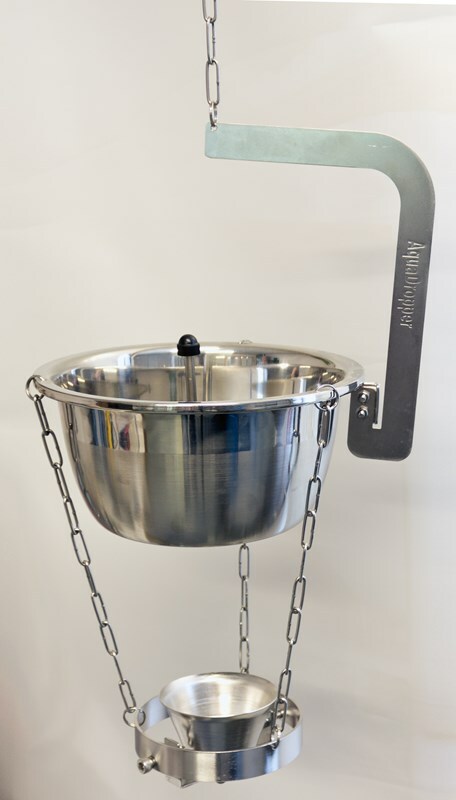 The upper container is filled with water and a valve adjusts the waterflow into the lower container. 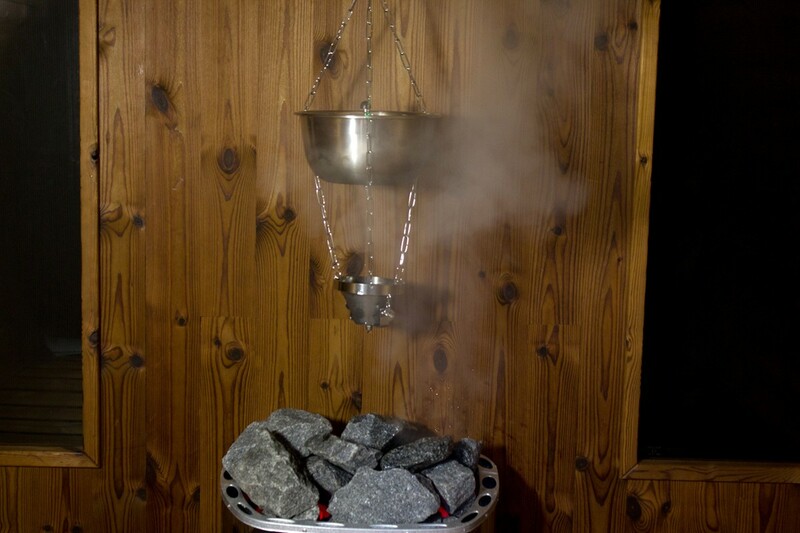 When the lower container is filled to a certain point, it will tip over and the water falls onto the hot stones below and creates steam. 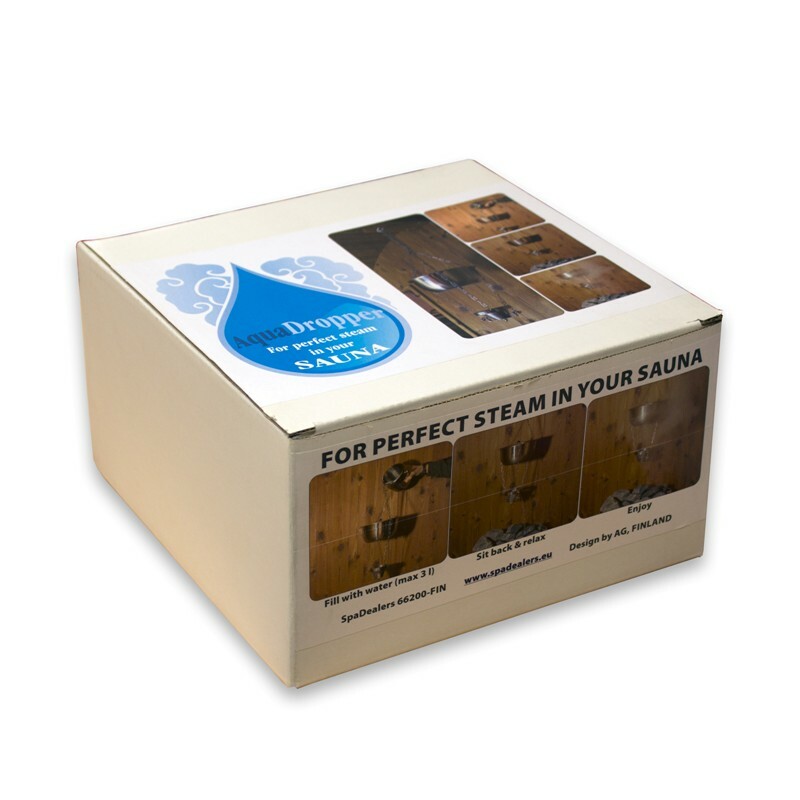 The moisture level in the sauna is adjustable thanks to the adjustable valve which affects the speed of the pouring action, and how often the upper container is refilled.